Cranbrook, BC (October 3, 2018) - Home fires today can burn faster than ever. 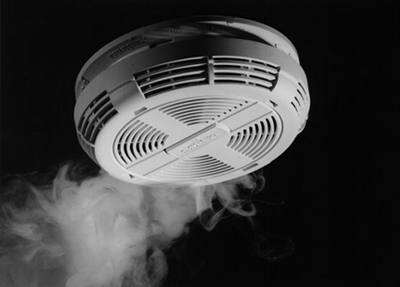 Occupants may have as little as one to two minutes to escape safely from the time the smoke alarm sounds. Knowing how to use that time wisely takes planning and practice. Cranbrook Fire & Emergency Services is teaming up with the National Fire Protection Association (NFPA) - the official sponsor of Fire Prevention Week for more than 90 years to promote this year’s Fire Prevention Week Campaign: Look. Listen. Learn. Be aware. Fire can happen anywhere. The campaign works to educate the public about basic, but essential ways to quickly and safely escape a home fire. Fire Prevention Week is October 7-13, 2018. Data from Statistics Canada show that the number of structure fires declined by 26 percent between 2005 and 2014. However, residential fires consistently accounted for roughly six of every 10 structural fires during that period. According to StatsCan, cooking equipment and smokers’ material caused approximately six of every 10 residential fires. The home is the place people are at greatest risk for fire, but home is the place people feel safest. That over-confidence contributes to complacency toward home-escape planning and practice. While we are focusing on home fires. These messages apply to virtually any location. Cranbrook Fire & Emergency Services is hosting every grade 3 class within their response limits to the Fire Hall for a fire safety lesson and tour of the facility, over the next couple of weeks. For more information about Fire Prevention Week and home escape planning, visit www.firepreventionweek.org . ** With files provided by the National Fire Protection Agency (NFPA).